If there is one other reason Arsenal fans hate the international break apart from the fact that they will miss club football action, it is seeing a number of their players return with fitness issues. 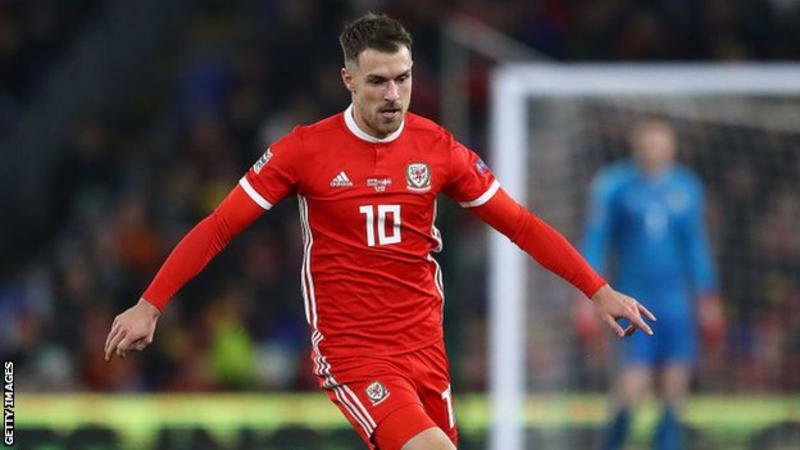 The former missed out of Wales' friendly match with Trinidad and Tobago in Wrexham on Wednesday night. Prior to the game, the national team coach, Ryan Giggs, said that the midfielder is battling a thigh groin which will make him unavailable. He however hoped that the 28-year-old Juventus-bound man will be fit in time to feature by the time they face Slovakia in a Euro 2020 qualifier tie on Sunday. "Aaron's just got a slight knock to his thigh, so we're just monitoring that. He should be OK for the weekend. He won't be involved tomorrow," Giggs said. Elsewhere in Greece, Sokratis has got an ankle swelling making him a doubt for his side's Euro qualifier against Liechtenstein having already missed training on Tuesday. We hope the duo recovers quickly so as to help us continue our fight for a top-four finish in the Premier League and now that we are in the quarter-finals of the Europa League, we need to keep our main men fit.